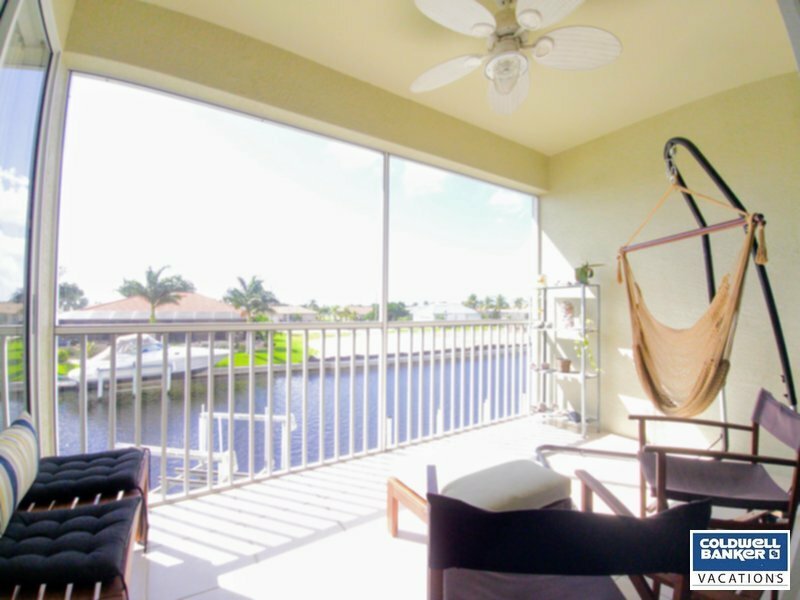 Beautiful second floor condo on a sailboat accessible canal in Punta Gorda Isles. This 2 bedroom, 2 bath unit with separate office is tastefully decorated and ready for you to enjoy your seasonal vacation. Relaxing sunsets can be enjoyed from the screened lanai overlooking the water and swaying palms. For those rainy days a new 4K Smart TV is Netflix-ready and includes a Blu-Ray player. There is a heated pool and hot tub, tennis courts, and outdoor gas grills under the large covered cabana for your enjoyment of this friendly gated community. For boaters, there is an onsite dedicated 40 boat slip (with power and water) and no bridges all the way to the Gulf. The area's only golf course and the Punta Gorda Nature Park are next-door and the famed Fisherman's Village is just minutes away by bike or car. High-speed internet (WiFi), digital cable TV, single-car garage, and all utilities are included. Association fee is $50 per person per stay. 30-night minimum stay. No pets and no smoking/vaping allowed.